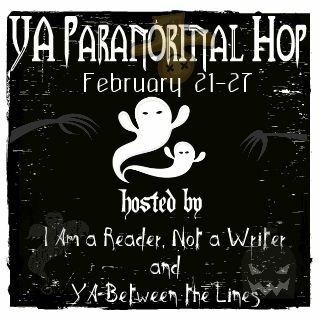 Welcome to my stop on the YA Paranormal Giveaway Hop, which is being hosted by Kathy at I Am A Reader, Not A Writer (love her!) and Sophia at [YA] Between the Lines (who I just found and followed!). I was at a bit of a loss as to what I should offer you guys as a prize, but then it hit me! I ordered the book from Amazon, and it came to me as a paperback. (I try to avoid those on my over-packed shelves, and I really wanted the hardcover of this.) Anywho, my loss may just be your gain! If I have an winner outside of the US or Canada, I'll send you a copy from Fishpond or Book Depository, granted that they ship to you for free. a Rafflecopter giveaway Thank you so much for visiting Bibliophilia, Please! While you're hanging about, you should check out the giveaways on my right sidebar. Once you are done with that, please be a dear and go visit these fabulous bloggers. Thanks for the great giveaway. 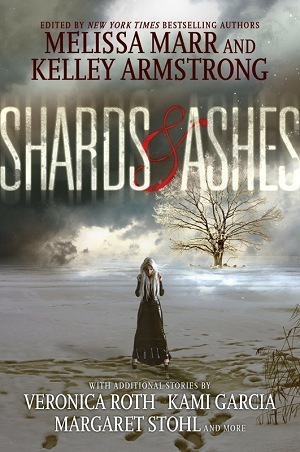 Shards and Ashes looks so good. Ok this is definitely my favorite giveaway offering so far on this hop! I love Kelley Armstrong and hadn't heard of this one yet!